If you’ve ever read the ‘About’ section of this blog, or seen my bio on my twitter account, you’ll know that I call myself a ‘recovering cancer caregiver.’ If you have ever gone through a season of life where a family member has contracted a life-threatening disease or experienced a life-threatening accident, you know what I mean. When the season of caregiving has ended, many caregivers find themselves wading back into the ‘real’ world wondering how to cope with mundane tasks and decisions. The adrenaline that has pumped through your body for days, weeks, or months in response to the stress of your loved one’s condition doesn’t know how to turn itself off. The ensuing emotions, thoughts and feelings can produce post-traumatic stress-like symptoms in the caregiver, along with feelings of guilt (even if the one you cared for survived), and yes, even depression. I’ve been there. Maybe you have, too. After my first caregiving journey, I feel into depression. If you would have asked me at the time, I would have denied the depression (after all, I should have been bubbling over with joy because of Pedro’s miraculous recover). In retrospect, I realize that I suffered from depression and it harmed not only my health, but also my relationships with my daughters and my husband. I wish I would have had a book like Hope Prevails to help me through that difficult time. Now, I jokingly claim that while it took Pedro one year to regain his health and equilibrium after his stem-cell transplant, it took me seven years to recover from his illness. 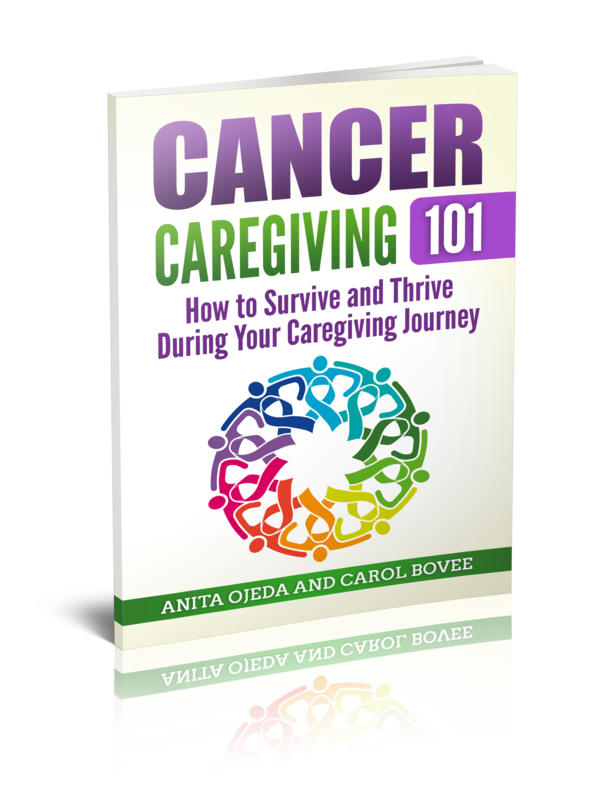 #HopePrevails is the perfect book for #caregivers because the author IS a #caregiver. Dr. Michelle Bengtson, a neuropsychologist, has experienced some of the same journeys that I have. Her husband also had cancer and she played the role of caregiver for him. She, too, suffered from a mystery illness. Even though she is a Christian, she also suffered from depression. Here are five great reasons why every caregiver needs a copy of Hope Prevails! If you’ve ever acted as a caregiver, you know the emotional and physical toll it can take on your mind and your body. The evil one especially loves to whisper lies into our hearts when we suffer from stress and exhaustion. So even if you don’t think you suffer from depression, Hope Prevails will help you armor yourself for those days when you don’t feel able to cope. The prescriptions Dr. Bengtson offers at the end of each chapter offer action steps that don’t require a trip to the pharmacy. Caregiving feels hopeless at times, and Dr. Bengtson offers hope over and over again through Bible texts and her own experience of how she used those texts to change her habits. The playlists at the end of the chapter (someone needs to get permission from the artists and compile a CD set with all of them in one place!) have beautiful, encouraging selections of music. Listening to music that uplifts and speaks to our deepest needs helps bring healing by keeping us focused on the One who gives us hope. Dr. Bengtson explains the relationships between our own mental state, the lies the evil one feeds us, modern medication, and therapy. The most powerful weapon at our disposal is our relationship with God—the God who also gave knowledge to doctors and scientists to help us direct our efforts most effectively. What about you? Have you ever struggled with depression? Do you have a favorite song or Bible verse that has helped you feel hope?